The Mail on Sunday newspaper was involved in a conspiracy to pervert the course of justice, the High Court has heard. One of its journalists was accused of burgling a Belgravia property to steal documents for a story – and then bribing a prosecution witness. Another editor was alleged to have paid money in a bid to get a witness to lie under oath. The allegations were made by former businessman Michael Ward, who is campaigning to get the second part of the Leveson Inquiry reinstated. Mr. Ward said that the Mail on Sunday illegally targeted him in a plot to undermine libel proceedings which he had launched against the Rothermere-owned paper. A spokesman for the Mail on Sunday said Mr. Ward’s claims had no merit, and had been officially rejected by two criminal courts, and separately by an official body. Leveson Part 2 was cancelled by the government one year ago, in March last year. However, last month on Wednesday February 13th Mr. Ward asked the High Court for permission to Judicially Review the decision taken by the Secretary of State for Digital, Culture, Media and Sport. The story started in 1987 when Mr. Ward, a Cambridge University graduate, founded a company called European Leisure. Between May and July 1991, he said that the Mail on Sunday published a series of articles alleging that he’d been involved in financial misconduct, prompting Mr. Ward, who had become Chairman of the company, to sue publishers Associated News for libel. After reading the articles, Mr. Ward said that in July 1991, the Department of Trade and Industry (DTI) commenced an inquiry into share dealings, followed by a Serious Fraud Office (SFO) probe nine months later. Mr. Ward told the court that while he was preparing his defence, the then Mail on Sunday’s Finance Editor Lawrence Lever got into his house in Chester Square, Belgravia, and stole his files. ‘From the earliest days of the SFO investigation, the claimant (Mr. Ward) started to discover evidence of serious criminal and other misconduct being perpetrated by the Mail on Sunday in the shadows of the SFO investigation. ‘The newspaper was corrupting the SFO investigation in order to ensure the claimant was charged and convicted and, thereby, escape the writs for libel which the claimant had launched. ‘On the first occasion, the Finance Editor of the Mail on Sunday Lawrence Lever, broke into the claimant’s home when the claimant was abroad, forcing open the claimant’s filing cabinet in his study. Neither Mr. Wolman or Mr. Lever, who no longer work for The Mail on Sunday, were in court to dispute what Mr. Ward had written in his Statement of Facts. This is because Mr. Ward’s case was being brought against the Government for cancelling Leveson 2, not the Mail on Sunday, which he was claiming was an example of press abuse which should have been investigated by Lord Leveson. It was for this reason, he claimed, that the Government had conspired to cancel Leveson 2, in a bid to ‘conceal’ his ‘travesty of a case’ from being aired in a public forum. The Mail on Sunday said Mr. Ward’s claims had been repeatedly rejected over the last 24 years. 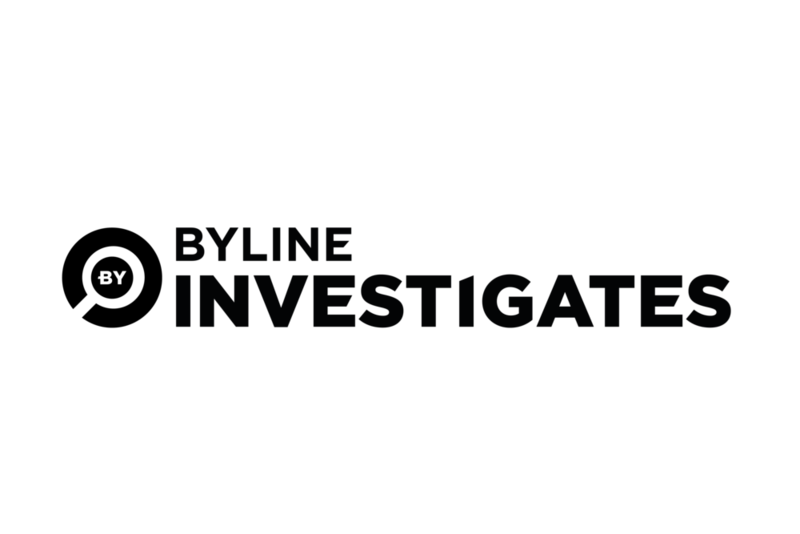 Byline Investigates emailed Mr. Wolman and Mr. Lever this story, and offered them a right-of-reply. But no comment from either has yet been received. Following a three year investigation by the SFO, the criminal case went to trial in 1995. However, Mr. Ward claimed he could not adequately defend himself because his paperwork had been stolen by The Mail on Sunday. In addition, he claimed that key prosecution witnesses were paid by The Mail on Sunday. ‘Wolman and Lever paid money to their agents, telling them to lie under oath. ‘The claimant discovered that the Mail on Sunday was bribing witnesses with secret payments in cash. ‘Witnesses were being encouraged by the Mail on Sunday to lie under oath at any future trial. ‘The Mail on Sunday was feeding false allegations into third party witness statements in return for additional secret cash payments. ‘It was also offering special ‘conviction bonuses’ to witnesses in return for securing the claimant’s conviction. ‘The newspaper swore a false witness statement of its own for the SFO, making up allegations about the claimant it well knew were untrue as well as devastatingly prejudicial towards the claimant. ‘The newspaper was leaking unauthorised confidential information about the course of the SFO inquiry to witnesses, encouraging them to turn against the claimant who, the newspaper told the witnesses, was bound to be convicted. ‘Potential defence witnesses were being harassed and threatened by the newspaper. Mr. Ward produced to the court, a newspaper article from The Independent dated 14th September 1995, which claimed that a principal witness in his fraud trial was paid £4000 by Clive Wolman. Despite his claims, Mr. Ward was eventually convicted at two different trials at Southwark Crown Court in 1995 of conspiracy to defraud in the course of a takeover bid, and of lying to the SFO and procuring a false receipt. He served two prison sentences, and claimed that his career was destroyed. But the court heard that he had been unsuccessful to date, losing at the Court of Appeal to overturn his convictions - and later an investigation by the Criminal Cases Review Commission had also not found in his favour. Mr. Ward had hoped to reboot his campaign for justice at the Leveson Inquiry in 2012, highlighting the Mail on Sunday’s alleged conspiracy. However, he had been advised that his ‘complex’ case maybe better suited to the second part of the Leveson Inquiry, which would concentrate on the relationships between the press and the police. But when this was cancelled last year, he felt indignant and was asking the court to overturn former DCMS minister Matt Hancock’s decision. Both the DCMS and the Home Department were represented at the Administrative Court by barrister David Pievsky and a solicitor. In his skeleton argument, Mr. Pievsky wrote that Mr. Ward’s case should be refused permission for three reasons. Firstly, he said the claim was ‘badly out of time’ after Mr. Ward filed his documents three months late on 18thJune last year. Secondly, Mr. Pievsky said that a previous judicial review to overturn Leveson’s cancellation failed in November last year. In that case - brought by retired schoolteacher Christopher Jeffries, who'd been defamed by the tabloid press during a police investigation, and others – Mr. Pievsky said that the Divisional Court had ‘comprehensively rejected’ arguments to reopen the public inquiry. Mr. Ward argued that the DCMS decision was ‘irrational’ and taken in ‘bad faith’ claiming that his case was ‘so big’ that the government had deliberately conspired to keep it out of its decision-making process. However, Mr. Pievsky rejected this with his third point. He added: ‘Any internal document establishing or even suggesting that there were undisclosed or improper reason for the decision …would have been found and disclosed. The judge, The Hon. Mrs Justice May, concluded that Mr Ward did not have ‘arguable grounds to challenge the Secretary of State’s decision’ – or that he’d been given a legitimate expectation that Leveson 2 would happen. She also said that there was no bad faith on behalf of the government arising from an improper conspiracy. The Hon. Mrs Justice May said that she had struggled with Mr Ward’s claim that his case was so very significant that it must have been suppressed by the government. She said that she ‘could not accept’ that it was much bigger than the cases that had been heard at the Jefferies Judicial Review. Mr Ward was ordered to pay court costs of £1978.00. Following publication, Mr. Ward has contacted Byline Investigates, to say that he has written to the Mail on Sunday asserting that its statement to Byline Investigates is defamatory. Mr. Ward tells us that he has demanded for the Mail on Sunday to retract the statement, and to acknowledge, that every one of his statements to the court, including those in his written material, are truthful. Mr. Ward has asked the Mail on Sunday to provide Byline Investigates with a new comment, which acknowledges that the statements he provided to the court are true. Every donation or subscription goes directly to funding our journalists. Jan 11 EXCLUSIVE: Has Mail on Sunday Got Cold Feet Over Phone Hacking Chief Weaver?